CONGRATS 2019 GRANDTASTIC AWARD WINNERS! Who knows our city better than you, the grkids families, who make up this amazing community. So when we asked you to tell us the best family-friendly places to go, you did not disappoint. Literally thousands of you told us your favorite places to eat, shop, learn and play with your family, and we can’t wait to share these results with you. Be sure to bookmark this guide, so you can quickly reference this to find Grandtastic places around town! Every listing in this guide received significant votes from our readers through an extensive social media campaign. Businesses voted in the top 10 were invited to sponsor their section, ensuring that you are getting information on top notch businesses around Grand Rapids. To make browsing easier, we broke the list into sections. Use these buttons to get to the section you’re interested in faster. Parents often ask us to suggest the best Grand Rapids places when it comes to putting kids in dance, swimming lessons or music programs. 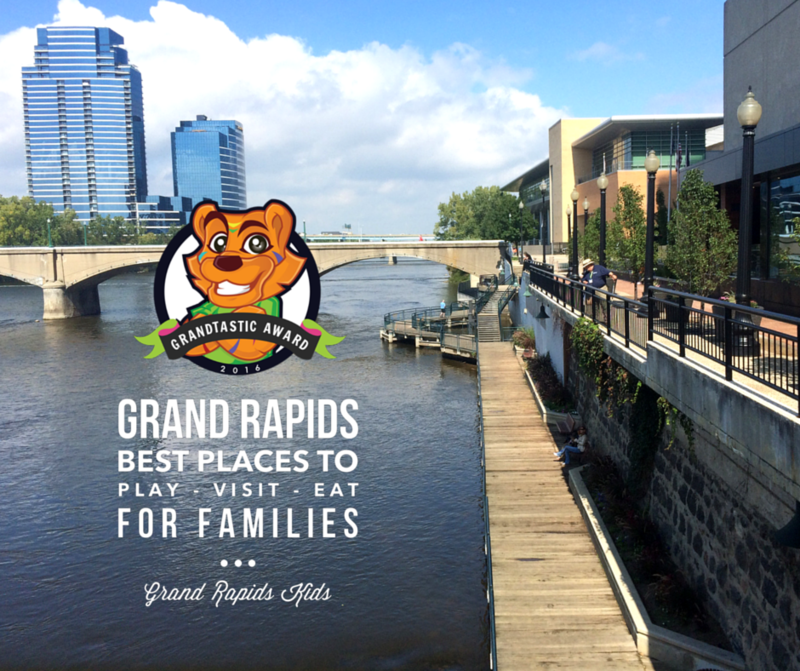 Read on to see the West Michigan’s GRANDTASTIC places to learn and discover with your children! Kids have amazing imaginations and this is never more evident than watching them create art. Looking to encourage this creativity in your child and give them some new skills to express it? Enroll them in one of West Michigan’s top-voted art classes/studios, all listed below. Sign up for a class, plan a party or stop in during Open Studio hours to paint pottery. The Mud Room offers creative fun for all ages! Conveniently located at Knapp’s Corner. If you live in West Michigan, learning to swim is probably at the top of your to-do list for your family. With Lake Michigan, numerous inland lakes, and some amazing aquatic centers, the opportunities for swimming are literally everywhere. If you are trying to get your kids enrolled into swim lessons with a trusted instructor, look no further. The most loved places for swim lessons are all listed below. Our shiver-free pool and state-of-the-art facility, paired with our play-based teaching philosophy provides your child with lifesaving, long lasting water skills and great memories. Whether it is jazz, hip-hop, tap or ballet, dance classes offer kids so much. Dance gets kids moving, gives them the opportunity to express their creativity and ultimately, allows them to have fun. Parents have spoken and given us their recommendations on the absolute best dance classes in town. At Hearts in Motion we believe in the power of dance. We believe in the way dance can make you feel. We believe that dance should be fun, fanciful, happy, and magical. We believe in building strength and confidence through dance and fostering a LOVE for the art of dance. Providing your child with top-notch training by worthy role models in a fun and caring atmosphere, CDMC is your place to start your child’s music and dance lessons AND your place to stay! It’s never too late to enroll. Call today! Offering dance classes for both the Recreational (ages two – adult) and Graded Technique (Levels I-VII) dancer. Graded Technique classes for ages 8+ are taught using our Vaganova based ballet curriculum which includes Bible verses relating to all terms and positions. Hip Hop, Ballet, Jazz and Tap Recreational classes allow students to explore dance with a smaller weekly commitment. What is so great about enrolling your child in a music program? So many things! Not only does learning a musical instrument allow kids to develop fine motor skills, math skills and memory skills (to name just a few), these programs are available to kids of all ages and all skill levels. If you are ready to sign your child up for a music program, reference our list of the most-loved programs below. West Michigan’s largest private music lesson school offering parent-friendly services, a family safety plan, month-to-month lessons, and top-notch instructors for piano, guitar, voice, drum, string, and ukulele lessons all in one location. Open seven days a week inspiring students ages five and up to dream, believe, and achieve. I always loved the library, but after becoming a mom, the library became invaluable. Not only can we check out books, magazines and movies, but there are so many interesting classes for kids (and adults alike), as well as fully stocked, imaginative play areas that always bring our family back for more. The most loved libraries are listed below. Field Trip days were always so special as a kid and I love seeing that same excitement in my kids when a field trip day approaches. And as an adult, I can appreciate the variety of field trips available right in our own town! Check out some of the best field trip destinations where kids can learn, have fun, and make memories. Fresh air and tons of options for play? It doesn’t get much better than play time at a playground or park. And even better, my kids are usually happily exhausted after an afternoon at one of these top-voted locations. Check out some old favorites or new soon-to-be favorite parks below. There is nothing quite like a day in the great outdoors, especially when the great outdoors is in our great city. From taking in meticulously kept gardens, to watching nine innings of West Michigan’s favorite baseball team, there is something for every person during every season. Check out the top outdoor experiences for families below. There are so many special things about West Michigan, but certainly one of those has to be Lake Michigan. Sandy beaches, fresh water, and lighthouses seem to be a staple around here. But did you know, we have some pretty amazing inland lakes too? Check out our list below of the best spots to spend a day at the beach. Looking for a way to cool down when the temperature outside is rising? Water play places keep kids entertained for hours and are sure to make your summer bucket list. But with so many indoor options, it might just make your fall, winter or spring bucket list too. The top-rated water play places for splashing, swimming and all-out fun are listed below. Visit the Holland Community Aquatic Center for fun for the entire family! Located in the heart of Holland, HCAC offers activities for kids of all ages. After the days upon days of sub-zero temperatures this past winter, indoor play places became a lifesaver. Indoor play places aren’t great just for winter, though. Nothing beats some indoor play to avoid the cold, the heat, the rain, or any other weather situation thrown at us. Find the top places below for kids to play, all indoors, all year long. The Grand Rapids Children’s Museum is a place where imaginations soar — with two floors of permanent and rotating exhibits, there’s always something new to explore! Come on over to Jester’s Court! Our indoor facility features approximately 20,000 sqft of action-packed fun for kids 12 years old and younger. Softplay, inflatable slides, obstacle courses, jumps, interactive games and more will keep your kids happy, healthy, and active. Follow us on Facebook for specials and events! Catch Air is West Michigan’s largest and most fun, indoor play facility for children 10 and under! Planning a birthday party? Looking for a high-quality daycare provider? This section covers the best, GRANDTASTIC family-friendly events and venues around town! Annual events mark the change of seasons here in West Michigan. We know spring is around the corner when we watch the tropical butterflies fly around at Meijer Gardens and that fall has arrived as we wander through downtown soaking in ArtPrize. 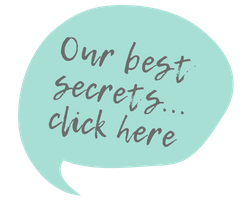 Find the best events for families below, for fun, adventure and memories all year long. While some parents love the fun of decorating and preparing food for a birthday party at home, others enjoy the convenience of hosting the party outside of the home. Birthday parties at a venue typically require very little preparation for decorations, food and entertainment. Many times, this is already all built in to the birthday package! Check out some of best spots around town to celebrate your child’s special day. Pottery painting, glass fusing, potter’s wheels and more! The Mud Room offers parties that are FUN for the kids and EASY for the parents! Online booking available. When trying to choose a daycare center for my daughter after she was born, I was asking everyone with young kids what daycare center they loved. A personal recommendation on a center from someone I trusted tipped the scales in that center’s favor big time. And thanks to the Grandtastic guide, getting recommendations is so much easier! Below are the top daycare centers parents trust for their families. Milestones Child Development Center is locally owned and offers 4 program locations in Cascade, Caledonia, Belmont and Portage. Open since 2005, Milestones enriches each child’s life with intentional educational techniques, authentic experiences all while providing a nurturing and safe environment. Milestones state of the art facilities offer secure buildings, warm interiors and expansive natural playgrounds. Providing high quality childcare and early education in a safe, nurturing environment. Visit your child anytime online using the AppleCam and receive daily activity reports online, in real-time, via our AppleGram. We enhance your child’s experience with music, technology, foreign language, gymnastics, and S.T.E.M. enrichment opportunities all included in your tuition. The journey down the road to kindergarten is full of adventures, exploration, new discoveries, investigations, problem solving, and curiosity! There are multiple steps we use to help prepare them, with your help! As a parent, sometimes the best food can be the food we don’t have to prepare. Whether it is for a quick stop for candy or ice cream or a sit down meal at a restaurant or brewery, read on for the GRKIDS readers’ GRANDTASTIC choices for eating out. Let’s be honest, eating out with kids can be challenging. And if you’ve ever tried to keep a few small hungry kids sitting and quiet while you wait for your food, you understand. I soon learned though, dining at the right restaurant made all of the difference. Family-friendly restaurants understand (and welcome) all the fun and challenges kids can bring. Check out the most loved spots to keep kids entertained & well fed when you head out to eat. Babies and breweries together? Why not! You may be surprised to learn that a trip to a local brewery does not need to be saved for a date night, but that many breweries can be a great place for a family-friendly day or night out. And if you live in a city given the name Beer City USA, then it is a safe bet that you will have a great list of options to choose from, including parents’ favorites, all listed below. Kids love candy. Walk into a candy store with a few kids in tow and you'll know this is 100% true. And what is not to love? The bright colors, interesting shapes and of course, the taste! If you are looking to bring your kids out for a special treat, be sure to stop at one of the top-voted candy stores that families love. Summer and ice cream go hand in hand. But who am I kidding, ice cream goes well with spring, fall and winter too. Whether it is Rocky Road, Strawberry Cheesecake, or good old fashioned vanilla, our top ice cream shops have got you covered. The best ice cream shops, according to local parents, are all listed below. Consignment stores are the perfect solution to growing kids. Most stores allow to you to consign the clothes your kids have outgrown and then you can shop for new-to-you clothes at a fraction of the cost. Definitely a win-win for everyone! Wanting to know where the best places are to shop? Check out the list below. If you enjoy a good garage sale, you'll LOVE a consignment sale. It is like an entire neighborhood garage sale, all under one roof, all neatly organized. These sales are an easy way to stock up on kids clothes, shoes and toys. These top voted sales will not disappoint. Just Between Friends is Grand Rapids largest children’s and maternity consignment event! It’s where West Michigan comes to save! Who says that kids can’t be stylish? If you are looking for high quality brands that are on trend, West Michigan has many options to help on your shopping adventure. These boutiques are filled with unique options for your kids' closets or are a great stop when you need to find the perfect gift. The top voted clothing boutiques are all listed below. Looking to get a family picture, new born photo or senior picture taken? Our list of GRANDTASTIC family photographers are the ones West Michigan parents book when they need a family photo. I love reliving some of my childhood memories by sifting through my old stack of family photos and I hope my kids will enjoy the same thing when they grow up. Having a trusted photographer to capture your kids at each stage of childhood is priceless, now and for years to come. Use our list below of Grand Rapids best family photographers for all of your photography needs. Feel free to pin this image for your reference.